Wynwood is expanding into the northeastern portion of Allapattah. Some are calling it WOW or West of Wynwood, while Allapattah residents and purists are sticking with Allapattah. One recent addition is The Allapattah Market. The Wood Tavern has been hosting The Market in Wynwood every last Sunday of the month. The owner of The Wood Tavern now has found a more permanent site in Allapattah where local artisans and artists can sell unique items every Saturday and hopefully on the weekdays as well in the future. The owner of The Wood Tavern is in the process of opening Taberna Las Rosas on the corner of NW 29 Street and 7th Avenue which will right next door to The Allapattah Market. Cesar Morales the owner of The Wood Tavern has had several successful businesses thrive in Wynwood and has now eyed Allapattah as a place to establish a strong foothold. The Rubell family, whom have called Wynwood the home of their family's art museum have opted to move the museum to Allapattah in 2018. They will be doubling the size of their footprint and selling their building in Wynwood. Their acquisition in Allapattah of the 50,000 square foot building was for $8.35 Million on a building that traded in 2012 for over $3 Million. 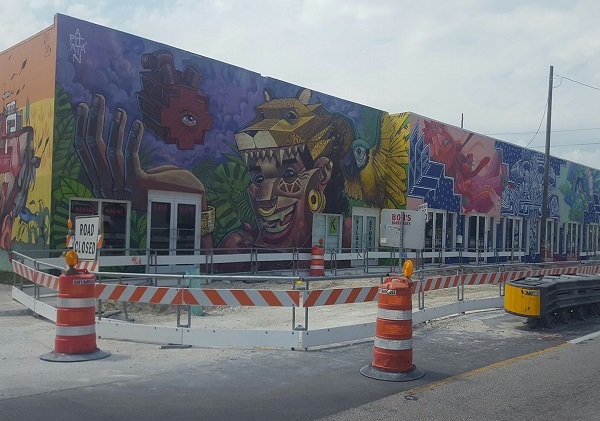 Moishe Mana who is developing Mana Wynwood, has acquired the former MacArthur Dairy site at 2451 Northwest Seventh Avenue in July for $8.5 million.